Welcome, foolish mortals. This year I have a Halloween treat and not a trick for all of you vintage fans out there. Here is a look at The Haunted Mansion while it was still under construction on February 24, 1971. A look at this photo begs to have the following question answered… have the 999 happy haunts already taken up residence, or are they waiting for the mansion to be complete before inhabiting it? If only I could get in touch with Madame Leota. Have a Happy Halloween! Thanks so much for posting this picture. It’s great to see the origins of one of my favorite attractions. Wow, it’s amazing how something so bare became something so exciting and magical! Thanks for the picture! This ride was built way before I was born. I have to agree! I love these old shots. Thanks! Nate, do you know what vantage point this photo was taken from? I’m trying to place the layout in my mind. The Haunted Mansion is on of my family’s favourites, just as it was for my sister and me in the 70’s and 80’s! We always make sure that either the Haunted Mansion or Pirates of the Carribean is the last ride before we depart WDW to head home. Hey Michael…it’s taken from over near where you load the Riverboat in Liberty Square. Does that help? I love seeing historical pictures like this. I, like so many other people that visit the Disney Parks, feel like I was born in the wrong time period (I was born in 1983 btw). I am dazzled by all things Walt Disney and would have loved to have met and learned from him. Keep these types of pictures and stories coming! Look at all that empty space around the mansion back then. How much it’s grown! Love the Tim Burton tribute this year. Off to the El capitan for the 4D “NightMare before Xmas” experience. My son’s first trip to WDW was in 1992 when he was 7 years old. He loved this ride then and every trip afterwards. Fast forward 15 years to 2007 when he was lucky enough to do a college internship there and landed a role as one of the butlers at the Mansion. He got to see – first hand – the inner workings of his all time favorite ride (with the lights on and off) and is now even more impressed with this attraction. I started working at Walt Disney World on the college program too, but it wasn’t at the Haunted Mansion. They used to have time lapse movies of many construction projects. How can we see them. I remember seeing them @Disneyland in the 1970’s. Halloween is my family’s favorite time of year and wish we could spend all the year on the Haunted mansion ride. 40 years ago though, seems like yesterday. The behind the scenes book is still available. Thanks for sharing that images!!! 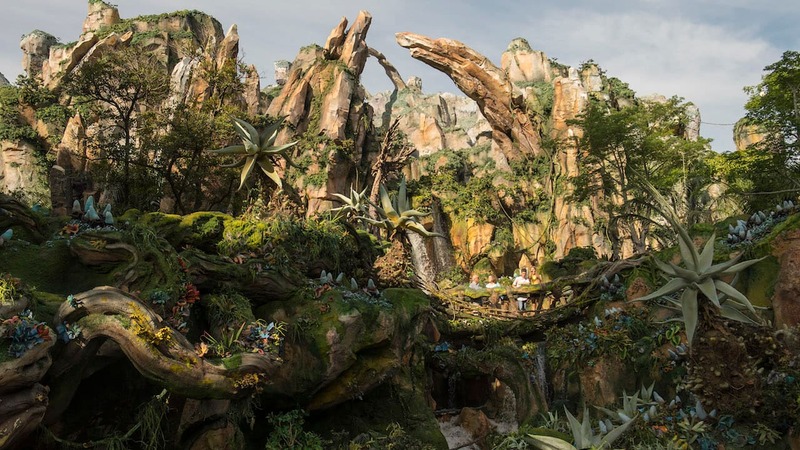 I would also love to see more “behind the scenes” of the construction…some video , maybe?? We’ll be there for Thanksgiving week , so Haunted Mansion is in our “to do” list !!! Love everything about the Haunted Mansion and not just at Halloween! Looking forward to heading back to Disney in February!! I wonder… what is actually IN the mansion? I know it’s not the ride… ??? Love seeing vintage photos from Walt Disney World. Thanks for sharing this one with us, Nate! The Haunted Mansion has been my favorite attraction in the Magic Kingdom since I was a child. 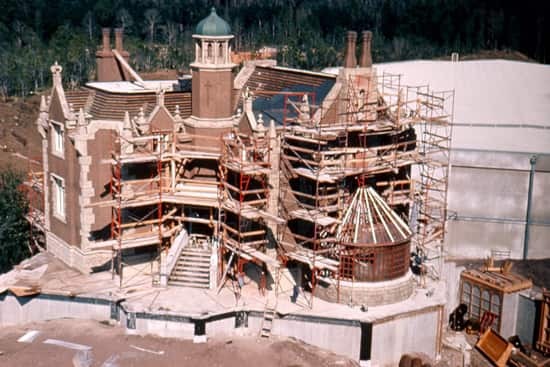 I would love to see more of the behind the scenes construction of the Haunted Mansion.